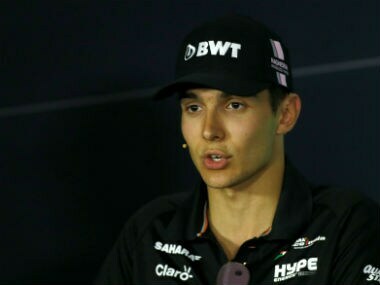 In continuation of our Force India specials, Firstpost spoke to Force India’s rising star and Mercedes junior driver Esteban Ocon. Ocon hardly seems like a driver who is gearing up for only his second full season in Formula 1. After nine races for Manor in 2016, the Frenchman and Mercedes junior driver was promoted to a Force India seat in 2017. His promotion was a head-turning moment as it came ahead of Pascal Wehrlein, his senior in the ranks of Mercedes junior drivers. A fantastic season with Force India (he scored points in 18 out of 20 races) was proof enough that like Max Verstappen, his nemesis from their Formula 3 days, Ocon too is a talent to watch out for in the future. For Ocon, the future could arrive as early as 2019 if Mercedes decide to replace Valtteri Bottas. The driver in discussion apart from Ocon currently include Red Bull Racing’s Daniel Ricciardo – Formula 1’s cool dude, a proven talent and five times Grand Prix winner. However, any further discussion on this subject would be pure speculation. For 2018, Toto Wolff (Ocon’s boss at Mercedes) has laid out a clear target for Ocon – beating teammate and Force India veteran Sergio Perez. In 2017, Ocon finished only 13 points adrift to Perez in the Drivers’ Championship. What are Ocon’s plans to better his performance in 2018? The only thorn in the Force India story in 2017 was their driver battle that went out of hand and into the barriers multiple times through the season. The intense rivalry between Perez and Ocon cost the team a possible race win at Azerbaijan and several chunks of points and carbon fibre elsewhere. Had the battle for fourth place been closely contested, the intra-team rivalry could have cost Force India dearly. The Force India management had to resort to team orders to control their drivers - a decision that wasn’t welcomed by the drivers and fans. However, what should the fans expect in 2018? Force India, who have finished in the ‘best of the rest’ (fourth) position for the past two years, have been consistently labelled as the ‘best bang of the buck world champions’. 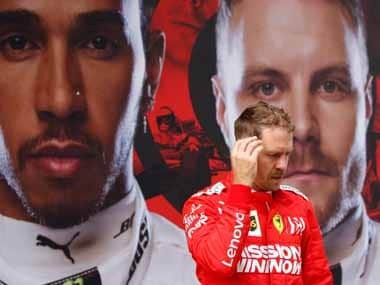 In their interviews with Firstpost, Vijay Mallya (team principal) and Perez stressed on the urgent need for teams to compete in Formula 1 on an equal footing. 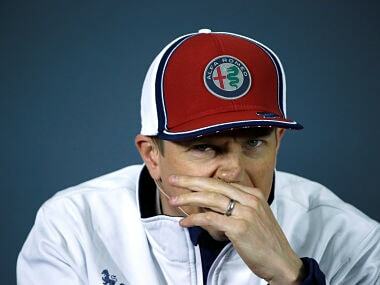 But what in Ocon’s view is Force India’s key strength? Ocon: “I think our biggest strength is that everything we do is of the (best) quality and we don’t waste money; all the money we have is going to the car and to nothing else and I think there are very few teams that do that. We have the most efficient team. If you put the same budget to everyone, I am sure we will be world champions." Interested in following Fernando Alonso’s footsteps? Twenty-one-year-old Ocon is expected to disrupt the driver silly season for 2019. 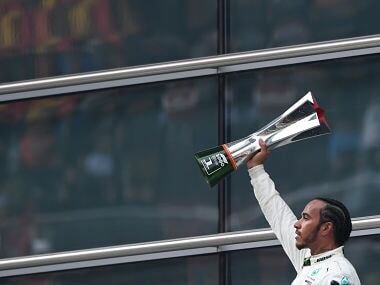 If a top team drive (most certainly Mercedes) comes his way, pursuing a dual racing programme like Alonso’s (Formula 1 and World Endurance Championship) wouldn’t be possible. But would this be of interest to him sometime in the future? Force India boss Mallya admitted that the new Formula E car design is futuristic and that Formula 1 should work on designs to attract the younger audiences too. On the other hand, Ocon's teammate, Perez exclaimed that Formula 1 had introduced a new design only in 2017 and that the current cars looked just the way a Formula 1 car should look. What are Ocon’s views about the much-applauded Formula E design? 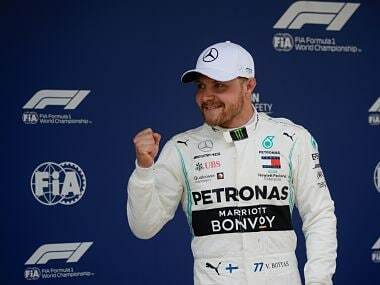 Finally, in an interview with Firstpost a fortnight ago, Rosenqvist (Mahindra Racing’s Formula E driver) revealed that his favourite Formula 1 driver was Ocon and how he would love to see the the Frenchman be crowned world champion someday soon. It isn’t very often in the competitive world of sports that one would find rivals praising one another (Rosenqvist and Ocon raced against each other in Formula 3). Does Ocon agree with our view that Rosenqvist deserves a break in Formula 1? While Ocon’s talent maybe as highly regarded as that of Verstappen, Mercedes will need to display Red Bull Racing-style guts if they were to promote Ocon to their works team in 2019, possibly ahead of Ricciardo. There is everything to fight for in 2018; let’s hope that Ocon will be in the thick of action all season long.